Sweet cranberry muffins moistened by the rich taste of Kemps Golden Egg Nog. Preheat oven to 400°F. 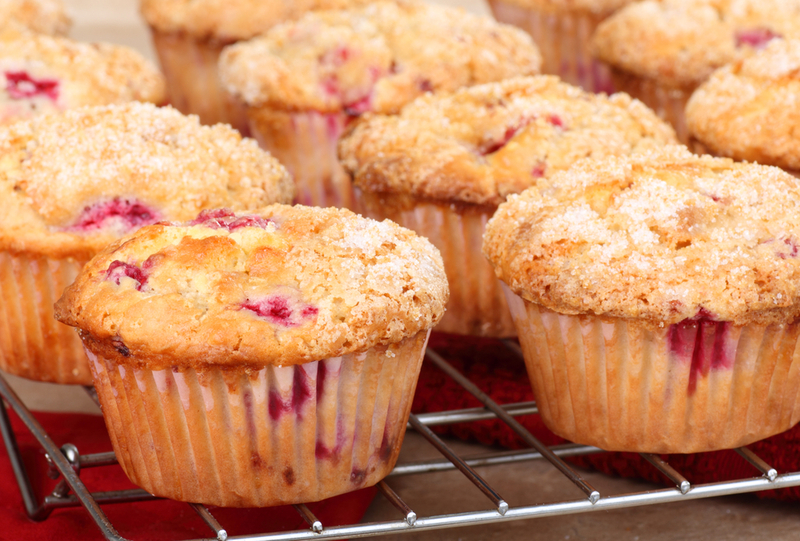 Spray 14 to 16 muffin cups with nonstick spray or line with muffin liners. In medium bowl, combine flour and baking powder. Set aside. In large bowl, mix eggs, sugar, egg nog, and butter. Mix in dry ingredients just until combined. Toss cranberries with 2 Tablespoons sugar and then stir into batter. Combine topping ingredients using a pastry cutter (or two knives) until crumbly. Fill prepared muffin cups two-thirds full. Sprinkle with topping mixture. Bake 18 to 22 minutes.